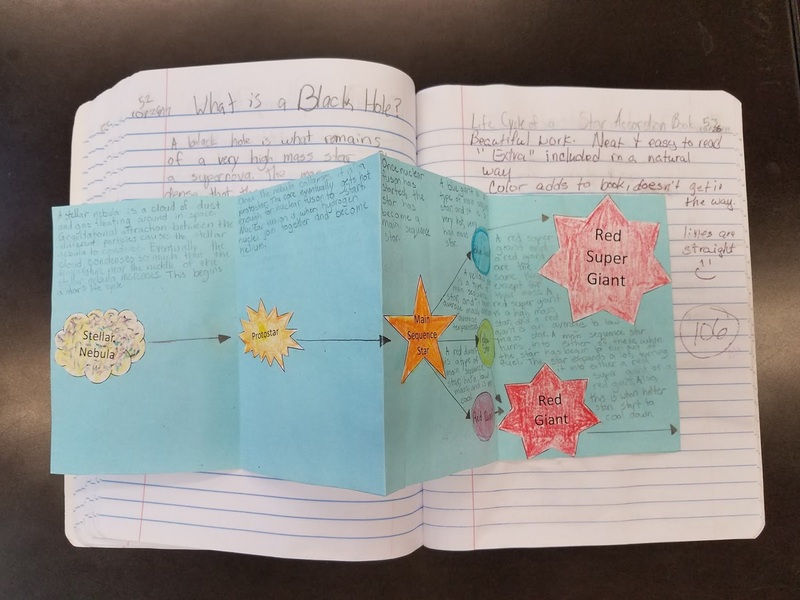 INBs, Interactive Notebooks, science notebooks, journals,,, whatever you call them, some sort of notebook for student writing, review, and reflection is pretty much ubiquitous in science classrooms. There are good reasons for this ubiquity. Professional scientists keep notebooks. These notebooks are records of the experiences the scientists have with science. Observations and data, diagrams, thoughts and reflections all go in to a scientist's notebook. The notebook becomes a running record of the growth of scientific knowledge and thinking. 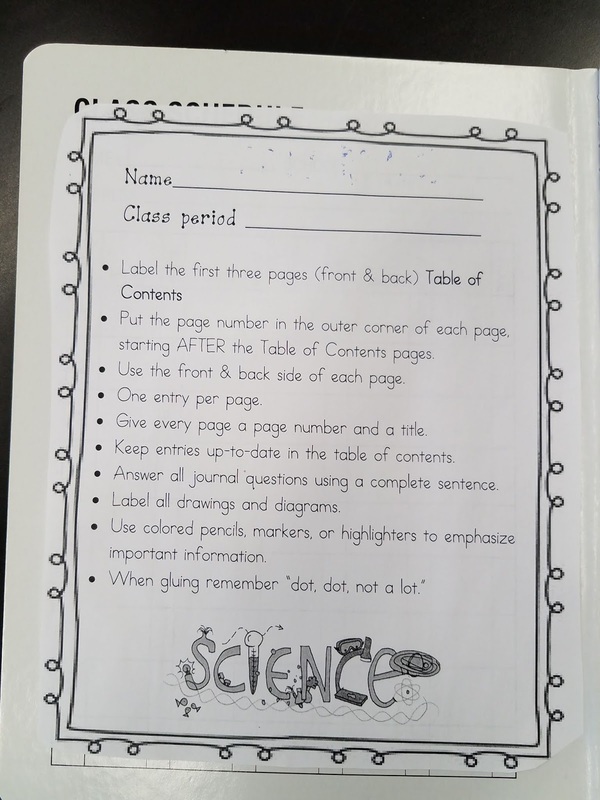 When students use notebooks they are modeling what professional scientists do. 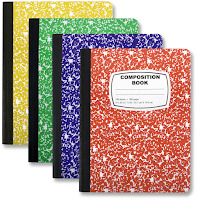 Notebooks help students organize their thinking. Charts, tables, graphs, diagrams, written observations - all get better and better as students include them in their notebooks. Notebooks become a wonderful reference tool. My students use their notebooks as study guides before tests and their final exam. They are a great way to assess students. Quick notebook checks can provide teachers with a ot of information relatively quickly. 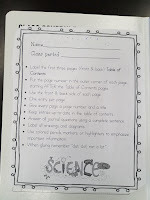 NSTA has an excellent article on the use of notebooks in science - Enhancing Learning with Science Notebooks. I have used notebooks for years. How I use them has changed quite a bit over time. I imagine it will continue to change; education is not a static enterprise. How I use notebooks in my class room. We call them journals, not notebooks. I started with the term journal 20 years ago and just never changed. 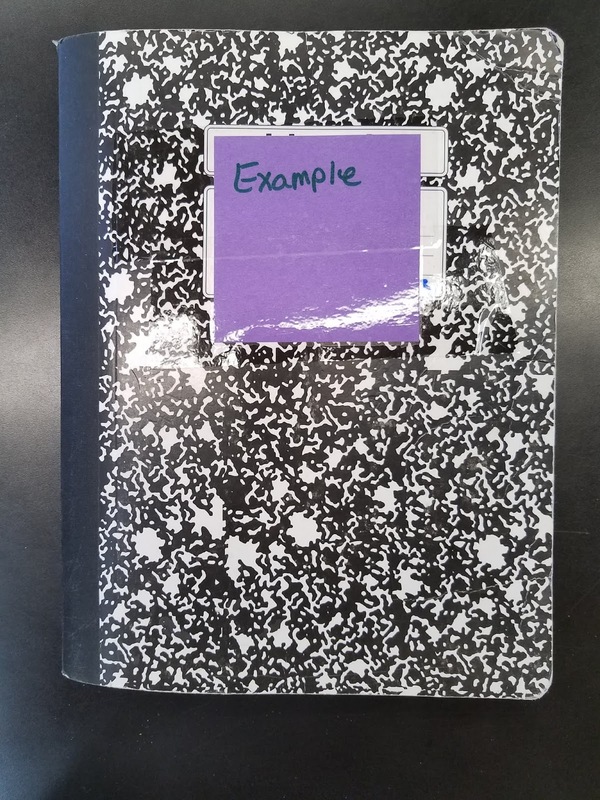 I think it is important for each teach to use notebooks in the way that best works for that teacher, the students, the school, and the culture of the community. What works for me might not work for someone else. For learning to be meaningful, it has to be adapted for the students. It's not about doing something the one, right way. It's about helping kids learn science. This works for me, your mileage may vary. I have students use bound composition books. I don't care what color or design is on the book. 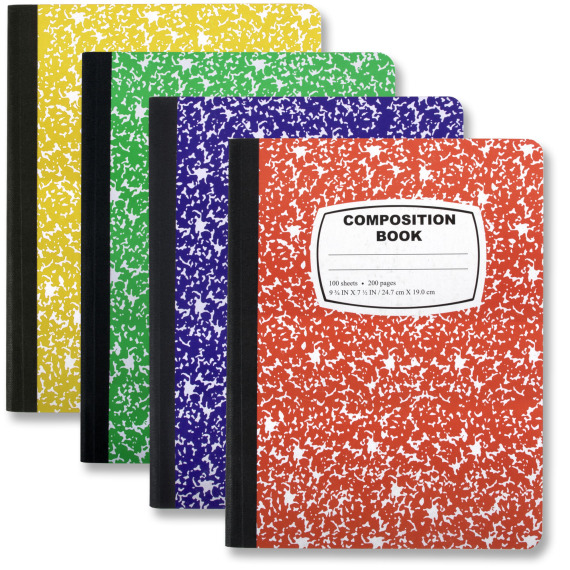 I have found that these hold up better over the course of a semester than spiral notebooks. I have a place in my classroom for students to store their notebooks/journals. There is a drawer labeled for each class period, and that is where the journals are kept. 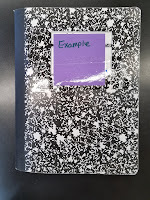 Students are not required to keep their journals in the drawer, but they are required to have them in class every day, so most do. in the past, when I didn't have empty drawers, I used dishpans to hold the notebooks. 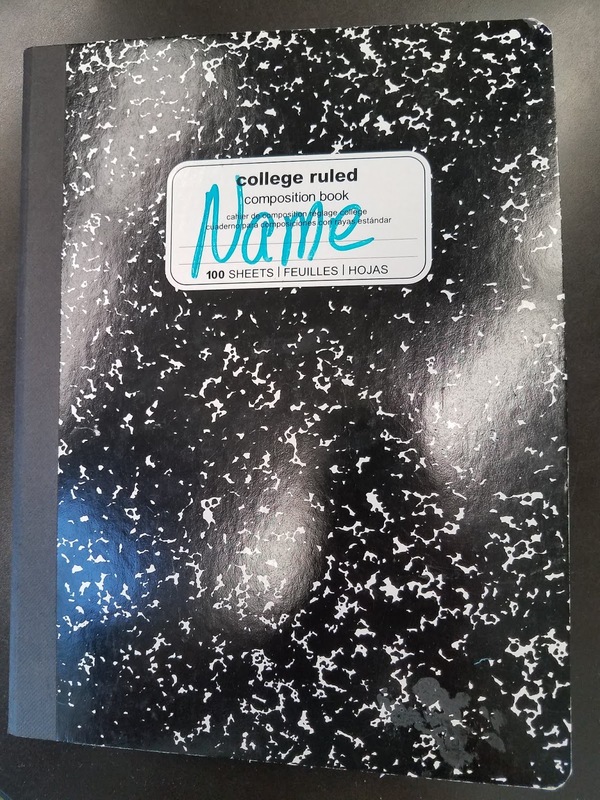 First & Last name on the cover. General Journal Instructions are glued on the inside front cover. The first three pages are left blank to serve as the table of contents. Pages are numbered on the top of each page. 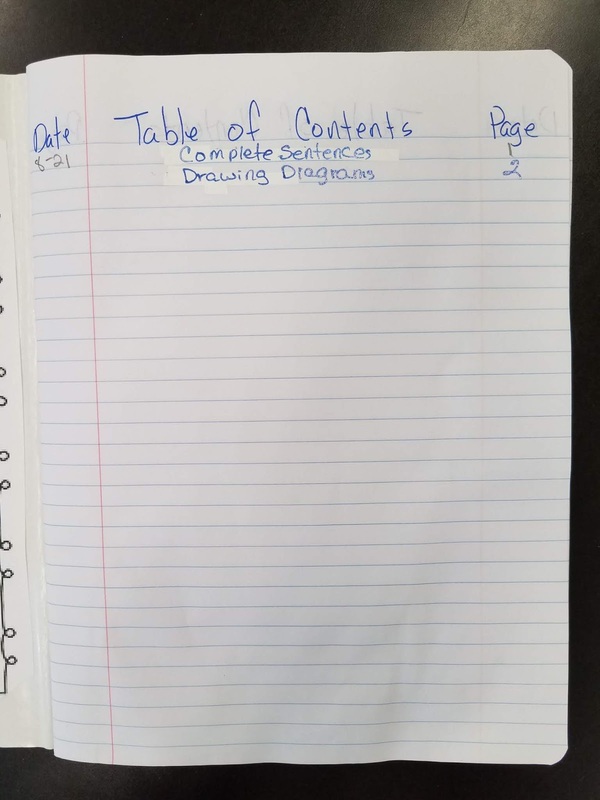 The first page is How to Write in Complete Sentences instructions. 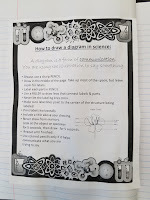 Page 2 is How to Draw a Diagram in Science instructions. 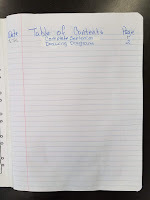 Page 3 is the student's first entry in the notebook. We repeat this the first week of the second semester. We almost completely fill the a journal each semester. You can download all of my instruction handouts here. Our journals are not the "Right-side/Left-side" Interactive Notebook. Sometimes we have an entry that follows that format, but most do not. Whatever else we need to put in the notebook. We use both sides of a page - front and back. We put one entry per page. It helps keep the journals neat. We have a warm-up question every day. This serves as a bell-ringer/starter, whatever word you like to use. Students grab their journals as they enter the class. More times than not, some student takes it upon him or herself to be the journal passer-outer. It's usually a student who gets to class a little before the others, and just does it. If we are going to use the journal again that class period, I tell the kids to leave them out. If we are not, I have one person from each group pick up journals from that group and put them back. If I forget to do this (it happens) they just put them up as they leave at the end of the period. 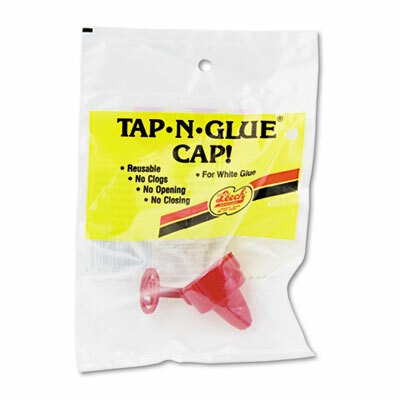 We use regular school glue to attach papers to the journal pages. Glue sticks just don't work. I bought the "Tap and Glue" caps for our glue bottles They help a LOT. I still have to teach the kids how to glue - dot, dot, not a lot - the first few times we stick something in the journals though. Once or twice a year I wash out the lids with hot water to keep them working. 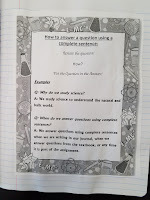 When students are absent they are expected to make up journal work just like they would do any other assignment. Our warm-up questions are posted on the class website for easy access. I don't keep a complete sample journal in the class any more. I found that too many students were depending on it at the last minute. :( The day before the journal quiz I would also have a group of kids coming in and trying to copy everything into their journal. So, nope, not any more. I do have an example journal to show the kids. It's a really nice journal from a previous student. They need a sample of high-quality work. I do have a sample journal that shows how organizers, charts, graphs, and so should look like if completed properly. It doesn't have all of the warm-up questions in it though. I assess the journals/notebooks in multiple ways. Random checks. Periodically I grab the notebooks from one class period and check for completeness. I do this for every class period once or twice a grading period. These are unannounced. Sometimes I grade a specific entry. This is often data from a lab or observations of a demo or exploration. This is announced. 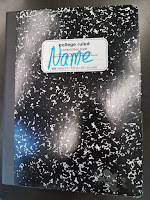 Journal Quiz - at the end of each grading period, I give a quiz based on the notebook/journal. 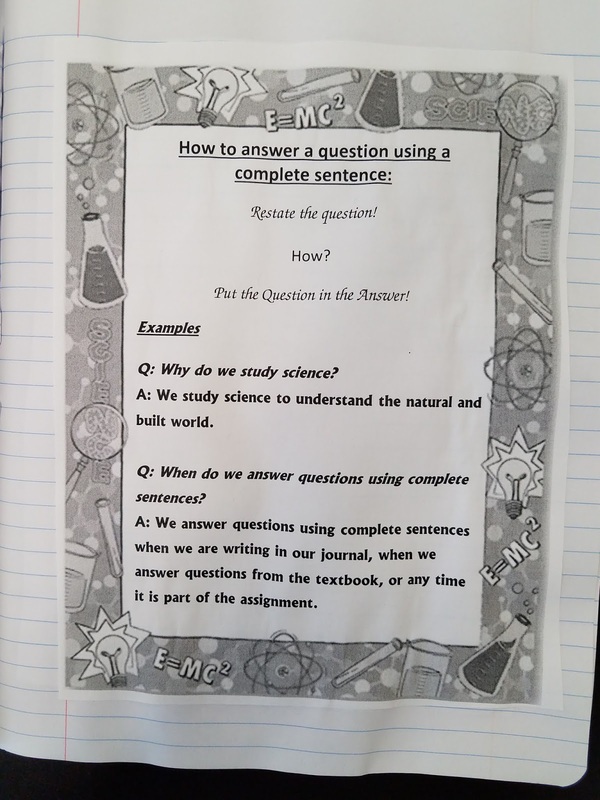 Students are allowed to use their journal. This is announced. I do not give pop quizzes. When I grade, I write the grade and my comments on the next blank page in the journal. Students are expected to include this in the Table of Contents. Like almost everything I do in my classroom, journals are always a work-in-progress. Every year, I tweak something, always trying to make it better. However, I do think they are worth the time and effort we put into them. 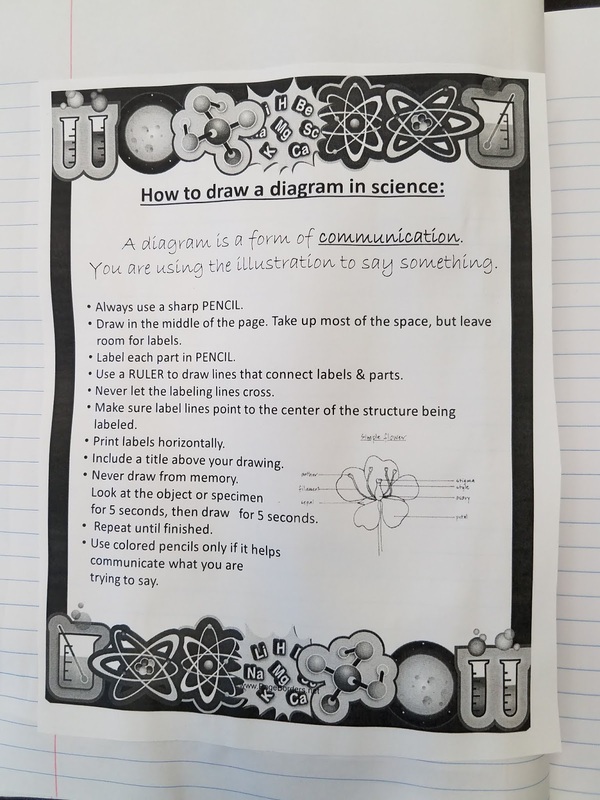 My students use them to learn science, and that is the whole point! I LOVE your site and wanted to say thank you for sharing!